To look at Adam's resume is to look at a blueprint of what is necessary to become a fine young man. 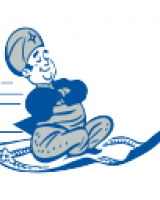 The Blue Ridge High School student academic record is among the elite, he carries a 4.0 GPA while taken the most rigorous honors and AP classes. Adam also does a tremendous amount of service work with the Salvation Army, the Show Low Blood Drive and his community his church. As the football team captain for Blue Ridge, Adam knows how important of a role model he must be for his school and especially his community. So Adam serves on the Leadership Training for Christ and the Show Low Bible Camp. He is very positive, hardworking, and is a lead by example young man. Beyond his tremendous athletic and academic ability, lies the competitiveness of a champion. Adam is a three time Wrestling State Champion, 128 match winning streak, the New Arizona record for most pins in a single season(48), 63-0 season, All American and an eighth time Outstanding Wrestler. Adam wrestled the entire 2018 season without giving up a single offensive point. Adam is a strong leader and a strong individual that is full of laughter, support, honesty and is a very gracious young man. Henderson is a prime example of a Champion Student-Athlete! 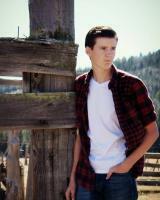 Adam will be studying engineering at Arizona State University. Sister Lynn with 44 years at Xavier College Preparatory, 41 years as its Athletic Director, has brought athletic and activity excellence to Xavier, Arizona and the Nation. Her leadership locally and nationally has changed and influenced the face of athletics especially in the areas of equity, coaches education, sportsmanship, athletic administration, coaches education and education based athletic and activity programs. Her service on NFHS, NIAAA, AIA and AIAAA committees and boards has brought a sense of fairness, integrity and competence to these groups. Sister Lynn’s commitment to the value and importance of interscholastic athletics and activities is witnessed by her pioneering of girls’ soccer, girls’ lacrosse and girls’ beach volleyball programs here in Arizona. Sister Lynn has been and is an advocate for Title IX, sportsmanship and the addition of high school sports programs into Arizona’s secondary schools. She has served as the National Interscholastic Athletic Administrators Association President and participates is a variety of NIAAA, AIA and AIAAA committees and boards. Sister Lynn was one of the founders of the AIAAA. Her belief in and tireless work for the AIAAA has seen it grow to one of the nations most successful and honored state Athletic Administrator Associations. She has spoken locally and nationally on issues which challenge athletic administrators, coaches, students, parents and fans. The awards and honors that Sister Lynn has received are a testament to her belief in the values of education based interscholastic athletics. Her advocacy for athletic administration as a career and the promotion of programs like the NIAAA Leadership Training Program are indicative of her dedication to the field of athletic administrations. She has been an advocate for coaches’ education and, in working with Xavier’s administration, has effected coaches’ certification and school financed coaches participation in clinics, conferences and classes. Sister Lynn has been able to effectively serve in the fields of teaching, coaching and athletic administration while being a Religious Sister. With so much honor and respect across the nation, Sr. Lynn has received hundreds of awards. 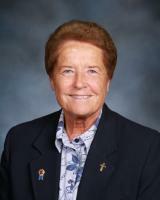 Its no wonder the first ever AIA Lifetime Achievement Award was given to Sr. Lynn. 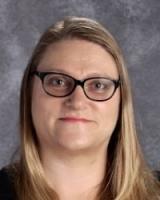 Coach Julias Slucas is a highly respected as an instructional leader at Salome High School, a trusted colleague & teacher, and regularly promotes civic responsibility through her volunteer efforts and campus involvement. 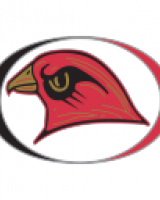 Parents have stated that they are impressed with the degree of caring and positive interactions they have witnessed from Coach Slucas while at track meets and at school events. She is known as a teacher with high expectations and students respond well to her in the classroom and on the field. Julia has been a track coach for over 15 years and took over Salome's head track coach position in 2004. She leads her athletes with integrity and genuinely cares about their well-being. She has not had an assistant since she took over as head coach. She managers all athletes well and has developed leadership qualities in her athletes to foster success. Her track team has the greatest sense of “team” on our campus and they cheer for one another like family. Julia is involved in her school just as much in er community. 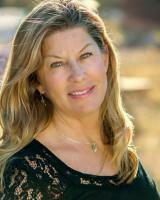 She has been coordinating the ADOT Adopt-A-Highway team for over 16 years and will continue this project. Julia also has many accomplishments under her belt such as the 2007 La Paz County Rural School Teacher of the Year and the 2016 VFW Post #3708 Teacher of the Year. She is an exemplary coach and overall leader on our campus. 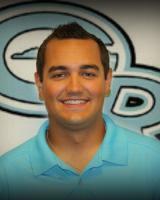 Corey Semler has had a dramatic impact on Gila Ridge sports in a short amount of time. 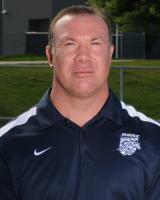 His coaching has improved academics, competitiveness, and participation in Boys Soccer and Football team. In the course of three seasons the Boys Soccer team under his leadership went from 44th place before he took over to winning the State Championship in his 3rd season. 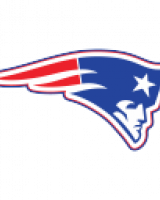 In the three seasons he has been head coach the team won the Region Award all three seasons, culminating this season in becoming the 4A State Champions. Corey motivates student athletes to work hard, be positive, and to keep moving forward and improving. His messages are always positive and always encouraging. He takes innovative approaches to connect to student athletes and push them forward in their mindsets and in their abilities. As a soccer coach he trained with students and was always on the field with his athletes playing with them. As a football coach he has held team conversations where everyone is expected to voice their feelings and opinions and listen openly to teammates. Corey is a leader in the classroom and a leader in youth sports in the community. Taylor Johnson loves to challenge herself in every aspect of her life. She took on the challenging role of being a Sabino High School Student Body officer, cheer captain, and a National Honor Society secretary. Taylor has all maintained a 3.78 GPA all while balancing her athletics in Golf and actives in Cheer, Student Council, and National Honor Society. This amazing young lady also sets time to young lots of clubs in at her school like Math Club, Young Republicans and the Future Medical Professionals Club. Taylor loves helping out around town at the local food bank, Toys for Tots, Red Cross and Ben's Bells. She prides herself on helping save lives by donating time and blood to help organize and gather enough blood to supply to local hospitals. 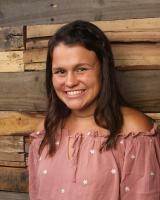 Taylor has been allowed many outstanding positions throughout high school due to her charisma and leadership qualities. She even volunteers her time as an unpaid coach for a youth level cheer team & spends a minimum of 12 hours per week supervising and teaching her U12 team. Taylor impacts the lives of everyone she meets and continues to be a role model to all who surround her. Taylor plans on attending the University of Arizona and majoring in either Biomedical engineering or Physiology with hopes of going to medical school to become a surgeon. Alexander Curry is a modern-day renaissance man who is both a scholar and athlete. 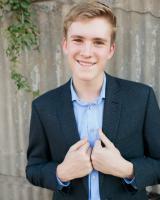 As a four-year member and current President of the Scottsdale Preparatory Academy Speech and Debate Team, Alex contributed greatly to the team’s 2018 AIA Division II State Championship, winning individual 1st Place Titles in Congressional Debate and Impromptu Speaking and finishing 3rd in Extemporaneous Speaking. Previously, Alex was the 2017 and 2016 AIA State Champion in Public Forum Debate and AIA State Runner-Up in Congressional Debate in 2017, 2016 and 2015. As a four-year member and two-time Team Captain of the SPA Basketball Team, Alex led his team to the 2018 AIA Division II State Playoff Elite Eight. In post season play, Alex averaged 17 points, 12 rebounds, and 2 blocked shots per game, and was voted 2018 AIA All Region Defensive Player of the Year and 2nd Team All-Region. In 2017, Alex was voted AIA Regional Offensive Player of the Year and 1st Team All-Region. In 2016, Alex earned AIA Honorable Mention. As a four-year member and two-time Team Captain of the SPA Golf Team, Alex contributed to the team’s 3rd Place finish in the 2016 AIA State Championship. Additionally, Alex received the coach’s Spartan Leadership award in 2017 and Most Improved Player Award in 2016. In his spare time, Alex runs an online vintage trading card business and enjoys paintball and ultimate Frisbee. Alex will be attending Duke University to study either Public Policy, Political Science, Economy, or Finance. Anna Alder is a very mature young lady that always works to her very best. Anna is a leader at school, at her church, within our community. At school, Anna is a take charge student that is not afraid to step up and take charge. She is a section leader in choir, held major roles in our musicals, been a PT assistant to the football team, acted as a peer tutor, and assisted in keeping our school clean during our school-wide clean-up program. In the community she is very active in her church and church music program. 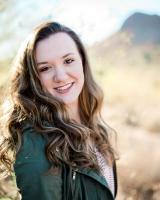 Anna has been a four year AZMEA Regional Choir Member and just recently auditioned and was accepted into the AZMEA All State Choir. Anna is also plans to do her mission with the LDS Church. Anna is a wonderful example of a well rounded young lady with great leadership skills and is a blessing to have in the community and school. Anna has been accepted at BYU Provo, Utah and will be studying Dental Hygiene with her goal becoming a Dental Hygienist. Holly Roden is an exceptional student. She has maintained a 4.0 grade average while taking advanced and AP classes and participating in numerous extracurricular activities. She was elected Vice President of the student body, Vice President of National Honors Society, Secretary of the Thespian Club, homecoming queen, and the recipient of honor guard. She has played a lead role in four musicals & three plays, been a section leader in show choir, the captain of the swim team, and has broken two school swim records. She has also been on the volleyball team, Varsity tennis team, and Varsity track & field team. Holly has a heart to serve others and has used her summer to go to Haiti to paint houses, educate people about food and water safety, and provide resources for the Haitian people. She has also traveled to Mexico to build houses for people in poverty and frequently volunteers at a non-profit coffee shop. 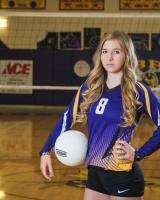 Holly plans on attending Colorado Christian University. Jason Jorg has excelled supremely at Desert Christian High School from his academics all the way to the sports and activities he has participated in. He is the team captain of his baseball team, has volunteered for the past 8 years at his church in the praise team, nursery, work projects, and mission trips, and has coordinated and led a mission trip to Haiti for a group of thirteen people. Amongst his extensive involvement in the community, Jason has maintained a 3.9 grade-point average. Jason is an outstanding model of a good leader, servant, and hard-worker. Stefan Bailey is a young man that conquers any obstacle or challenge placed in front of him. He has been involved in music and theater basically his whole life with his holding the lead of Ahmal in the opera Ahmal and the Night Visitors when he was just 8 yrs. old. As section leader in choir and drum major in band at Blue Ridge High School, his leadership skills are fine tuned and very solid. He not only has these two leadership positions, but recently received the Maestro Award at National Competition by his judges. His decision to go into PT occurred with severe shin splints that removed him from sports. Through his treatment, he found his interest in PT. Due to his removal from sports, he continued to direct his dedication to music, his grades, and the theater. He is a constant example to his peers on what doing a great job with dedication truly is. But the best part is that he does with a great attitude and humility. His 3.8 GPA and determination for good grades have allowed him to excel in all that he does. This is seen in the awarding of the Presidential Scholarship he received from Grand Canyon University and his acceptance into the Honors College. He is an example within the community, school, and for everyone he comes in contact with as to the type of person you are proud to be. Justin Fink has exceeded incredibly high standards set forth by Chandler Prep Academy in academics, activities, athletics, and service. He has been instrumental in bringing the CPA Chess program to prominence, finishing his career with state runner up, and co-champion on his resume. 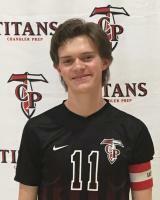 On the soccer field, he served as team captain and was named 1st team all region in 2018. He also participates in tennis, was named all region in choir, is a member of the CPA Key Club, and serves as a student ambassador. Academically, he has been named a National Merit Commended Scholar, and maintains an unweighted 4.0 GPA taking all honors courses. Justin demonstrates outstanding character, and sets a great example for other Great Hearts scholars. He goes about his business with humility and grace, and is always looking out for others. Justin will be deciding on a college in the near future. Hanna is an exceptional role model for the students of Westwood High School. She has shown leadership in a multitude of settings. She has worked with elementary students by directing a musical. She cast the show, designed the set, worked with parents, and selected costumes and roles. 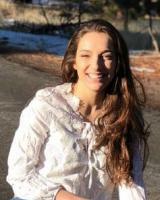 As a student in theater, Hanna was cast for several leading roles. While she was captain of the soccer team she was also cast as Juliet, the leading female role in the schools theatrical performance. She did all of this while maintaining a part time job and earning straight A's. Hanna has a great personality, she works well with everyone, she is driven by success, and shows leadership in all areas. This past year, Hanna was selected as Mesa Citizen of the Year and IB student of the year. 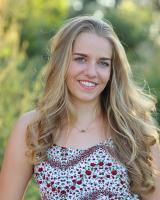 In addition, she was selected as Rotary student of the month for Mesa Sunrise Rotary. Hanna is also going to receive the IB diploma in May and is ranked in the top 1% of her class. 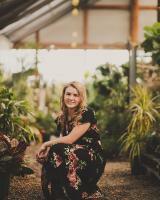 Hanna will be studying foreign services at either ASU, Coe College or University the Pacific. Madeline has excelled in my academics, sports, leadership, and community service while in attending Xavier College Preparatory. 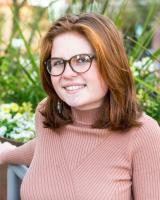 With all her AP classes, Madeline has maintained a 4.0 GPA. In addition to receiving her high school diploma in May, Madeline will receive her Associates Degree through Rio Salado Community College as a result of dual enrollment. During high school, Madeline participated in speech and debate for two years and played four years of golf at Xavier. She is a member of several honor societies including the National Speech and Debate Association, National Honor Society, Mu Alpha Theta, and Phi Theta Kappa. In her free time, she participates in several school organizations such as President’s Council and helping organize Girl’s Have Information Technology Day (an annual STEM event where several hundred middle school girls attend). She is also involved at her community church and read to more than four hundred people at church at some Masses and helps with fundraisers such as an annual event to raise money for the Junior Golf Association. Madeline plans to major in Applied Mathematics in college and eventually earn her PhD. 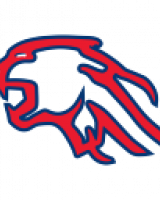 Logan Smith has been an exemplary student for the past four years at Sahuaro High School. 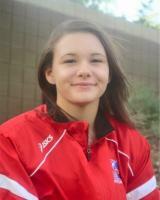 Since her sophomore year she has been a part of the Sahuaro Speech and Debate team. She has captained the team and provided helpful insight for the rest of the team. Her senior year she moved on to quarter-finals in public forum debate twice as well as becoming fourth in state for impromptu speaking. Along with this she has maintained a membership with the National Honors Society. This is due to her outstanding academic excellence maintaining a 3.86 GPA and achieving 8th in her class out of 320 people. Outside of school she has volunteered with International organization Odyssey of the mind as a volunteer judge for 4 years. 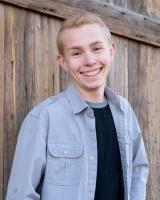 Logan plans to attend Arizona State University and major in History pursuing a career in Museum management and curation. As Senior Vice-President of Ganado High School, Janaya has set herself as thee school role model; who motivates with her good attitude and determination through athletics. 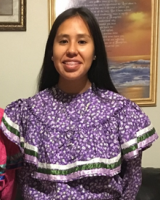 This half Navajo and Muscogee Creek young individual has made her tribe and community extremely proud. As a three sport athlete, Janaya competed on the Varsity team starting her freshman year. She has achieved several individual awards such the 3A North Cross Country Champion (2017-18), 3A North Girls Basketball Player of the Year (2018) and was on the team of the State Runner-up Basketball team; 3A State Champions 4x800 relay and the 3A Cross Country State Champions. As a member of the National Honor Society and Student Council, Janaya was able to maintain a 3.8 GPA and ranked 6th in her class. She also believes in giving back to her community. Janaya has organized, assisted and participated in the Ganado Community Elders’ Christmas, Cornfields Chapter clean-up; Running Club Team visit to the Anne Wauneka Life Care center and reading to children. With her hard work and dedication, she contributes her time to participate in the Unified Partner with the Special Olympics. The Special Needs students admire her as a role-model therefore she has an excellent relationship with her student partner. Janaya is an all-around student athlete, contributes her time for school activities, excelling in her academics, and excelled in her athletic career. She is a responsible person and an outstanding role-model. Janaya will be studying Education at Central Arizona College of Northern Arizona Universtiy. Westin, the 3rd top ranked student at Show Low High School is a four time Varsity Letterman Athlete and has maintained a 4.0 GPA throughout his high school career. For being such a young adult, Westin is truly humble, compassionate to others and effortlessly accepts his role as a leader in the classroom and in athletics. He is set apart from his peers because of his high level of self discipline. He is dedicated to pursuing excellence in everything he sets his mind to. Through the support of his family he has established strong values for higher education. 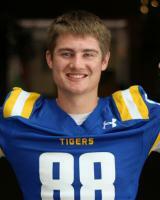 As a senior, Westin was voted 3A East Region Player of the Year in Football and he won the 195 lb. Arizona State Division III State Championship which qualified hm to be on the National Wrestling Team. He plans to attend ASU and pursue an engineering degree. Bethany Loveall is an exemplary student-leader and athlete on and off the playing fields. 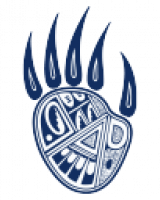 While attending Bagdad High School, Bethany has played on her Varsity Volleyball, Basketball, and Softball teams all four years, while maintaining a 4.0 grade-point average. Bethany's determination to exceed in everything she does has earned her many honors in the classroom and on the field. Besides being the captain of her Volleyball, Basketball, and Softball teams for the past 2 years, she has led her class as Class President, as well as NHS president for her Junior and Senior years. She will be the Valedictorian of her graduating class. Bethany is a driven individual who is currently a Certified Nursing Assistant. She plans on attending college to become a registered nurse Bethany is a promoter of Lead 2 Feed, United Way, and March of Dimes, and she has been the head coordinator, and leader for numerous projects, including feeding the homeless, raising money for premature babies, and building a house for the homeless. Bethany is passionate and motivated in everything she tackles, making her an exceptional role model for our community, school, and athletic programs. She will be attending ASU or GCU to study nursing. Paige is know for being the team leader at Williams High School. She is someone who brings out the best in others as she makes them feel so good about themselves. On top of participating as a two sport athlete (basketball and volleyball), Paige was also passionate about music. She participated in Marching band and concert band all four years of her high school career. 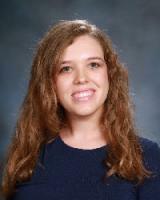 The 3.8 GPA student was also very involved as a, Arizona Girls State Delegate and Student Council. Along with maintaining honor roll and participating in extracurricular activities, Paige has enjoyed being an active volunteer in and out of her community. She has helped organize over six blood drives at her high school, made shoes for people in Uganda through the Sole Hope Project, and donated time to The Peaks Senior Living Community in Flagstaff; to aid the elderly residents there. Volunteering has shown her how to be a helpful teammate and the importance of supporting causes she's believe in. 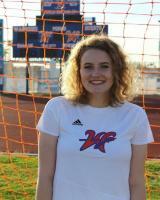 Paige will be pursuing a degree in Education at the Northern Arizona University. While at Blue Ridge High School, Marlee has been a true standout. She is an amazing leader, and a mentor to students at all levels of school. She has also been a recipient of many awards and commendations, for sports and academics, throughout her high school career. Marlee is loved by all who have the opportunity to work with her. This has also carried over into her athletic events by demonstrating true sportsmanship. Marlee has excelled in the Sports Medicine Program at Blue Ridge. She is quick to volunteer as a sideline aid at all sporting events. She enjoys helping others and her true passion is assisting athletes in overcoming their injuries and obstacles. She is a motivator and an excellent role model to her peers especially underclassman. She has countless hours coaching young athletes in track, basketball and volleyball. While earning an honors diploma and participating in school events, she also found time to coordinate blood drives and various events through the National Honor Society. Each year she participated in the School wide clean-up Project as a coordinator and has been instrumental in the success of shoes, clothing and several turkey drives at Christmas and Thanksgiving. Marlee embodies every aspect that a leader should resemble. She gives 100% to all academic and extra-curricular activities. Her future will involve helping people is some level of medicine. Marlee will be studying sports medicine. 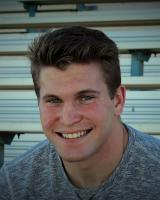 Tanner has tremendous passion and drive to push himself to excel in every area of his life. He truly loves to learn and maintains a 4.0 GPA, taking mostly honors and advanced classes. He is the Salutatorian for the class of 2018 and the President of National Honor Society. 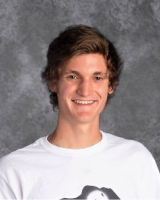 He was also the winner of Northwest Christian School’s prestigious Principal’s Award, chosen by faculty as the outstanding student of the year. 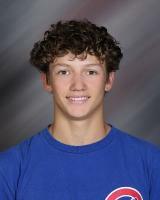 He has been a 4-year Varsity Athlete in Cross Country and Wrestling, and is the Senior Captain for both teams. He led his Cross Country team to back-to-back Sectional Championships his junior and senior year. Tanner had an outstanding 3rd place finish at the State Wrestling Tournament his senior year, is a 3-time State placer, and set nearly every record in school history. He is humbled that both of his coaches selected him as the recipient of the “Total Release” award, which honors the athlete that best exemplifies intensity, commitment, and unselfishness. 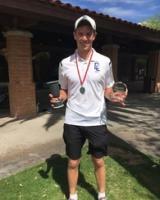 Tanner’s character and integrity earned him the distinction of being an Arizona Sports Character Counts top ten finalists this year. Tanner has a heart for serving others, and uses his leadership and administrative skills to organize mission trips to Mexico to build houses for those in need. He says it’s so rewarding to see how much joy these families have even with so little, and after each trip he can’t wait to go back and help again! He strives to be a role model as he coaches his school’s elementary Cross Country Team and also mentors a group of freshmen boys each week through some of the tough issues high school students face. And if all of that wasn’t enough, Tanner also plays the tuba in the marching band and is the low brass section leader. 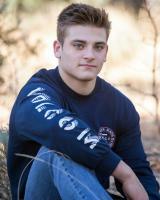 Tanner will be attending Arizona State University to study Supply Chain Management and Sustainability. Johnny is an outstanding student and is achieving high marks at Desert Christian High School. He is the Student Body President, National Honor Society President and the Senior Golf Team Captain. Johnny is a model example of what "servant leadership" looks like in a young adult. He is constantly helping the other golfers with their game and is quick to encourage and congratulate the other players even though he is the #1 player on the team. Johnny has earned Conference Player of the Year, three times running for Golf and awarded All-Conference team member for basketball. Johnny will truly lead his college team with optimism and encouragement. Johnny is committed to playing golf at Colorado Christian University to study business ot political science. You will not meet another individual who is not only committed to her school but also her community than Karen. She understands the importance of being committed to her education at all times while being courteous to peers, adults, and teammates in a variety of clubs, sports, and extracurricular activities. Karen grew up in a small Northwestern El Salvador town who went through many hardships with her single mother, but in all this made her humble and taught her to never give up in tough times. Her hard work and dedication has paid off making her ranked 3rd out of 600 students at Copper Canyon High School. Karen has maintained a 3.98 GPA throughout high school and challenged herself in variety of AP classes. The three sport athlete accomplished her goal to land a spot on the National Honor Society her sophomore year. Karen's highest award with given from AZCentral as the All-Star Player of the Week, which is a true honor to have been chosen from thousands of students across the state. Her favorite club that she joined was Aztec Ambassadors and learned time management between all her sports and activities. Karen is surely to succeed in her college career. Karen will be studying Physical Therapy at ASU or UofA. Tyson is an ambitious, dedicated, and committed student, athlete, and community member with an unparalleled work ethic. This resulted in tremendous success both in and out of the classroom. In addition to being a three-sport, all-region/all-star athlete, he is also salutatorian for the 2018 graduating class, student body treasurer, and he has earned numerous accolades for his scholarship and athletics at the local and state level. 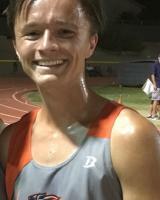 Tyson is focused on continuous improvement as an individual and a teammate, and he played a critical role in raising the performance of Marana High School athletically, as well as academically. He helped Marana achieve back-to-back football region championships, the last one occurring 30 years prior. He also was a key to Marana Basketball’s first winning season and making the post season in 14 years. Tyson has committed over 200 hours of time outside of his busy academic and athletic schedule to serve his community and improve the lives of those less fortunate as a volunteer, mentor, and tutor. Tyson will be going to Babson College in Boston, MA, to pursue his Bachelor of Science degree in business administration with concentrations in finance and entrepreneurship to become an entrepreneur, investor, and financial analyst so that he can build a business empire that benefits customers, workers, the local community, and the world. Senior Swim team captain Shae from Desert Vista High School lead her team to win the 2016 State Championship. She also was a individual state champ several times over who was on the Varsity team all four years of her high school career. Academically, Shae is a straight-A student with a 4.0 GPA who took eight AP courses and numerous honors courses. Shae was chosen as Team MVP all four years, and was a 2x individual state champion and a part of a state team championship in 2016. She also competes for her club swim team, Scottsdale Aquatic Club, during the school year, where she has qualified for the 2016 Olympic Trials and has won Junior National Championships. The most impressive accomplishment was help found the non-profit "Feed my City", which is dedicated to help alleviate the effects of hunger in the Phoenix area by facilitating the donation of the leftover food from local restaurants to nearby food banks. Her ability to manage her sport and her rigorous academic load is impressive, as she handles it with an unassuming and quiet confidence that makes it look easy. Shae will be attending Duke University to study biology and medicine. Brooke will be graduating in the top 7% of her class at Liberty High School with an unweighted GPA of 3.96. She has taken a number of honors, AP, and dual enrollment courses, which have contributed to her earning 33 collegiate credits through the partnership with MCCCD. The opportunities afforded to her have also led to her earning the title of certified clinical medical assistant at age 17. She has been a leader as a sport medicine assistant, where she was able to assist student athletes on the sidelines at many events. In addition, Brooke has participated in HOSA as well as NHS. 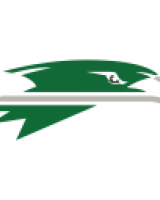 As a wrestler, Brooke has had a unique experience a Liberty, one of the most competitive rooms in the state. She has lettered 3 times during the high school season wrestling against the boys. In the off-season, she competes nationally and internationally. To date, Brooke has earned the following honors against the toughest girls in the nation: 4x Fargo, 2x Women’s Nationals, and 1x Folkstyle Nationals All-American. In 2016, Brooke earned a spot on the National Team, which allowed her to represent the United States in Lima, Peru, where she brought home the silver medal. In 2017, Brooke traveled with the National team to Klippan, Sweden, where she competed in the senior division and participated in an intensive, international training camp. Brooke has exemplified leadership on and off the mat and has been recognized as a team captain, won the leadership award, and is a 4x GPA team winner. Brooke will plans to become a nurse. 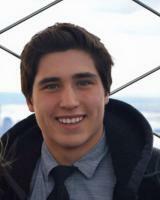 Salvador is a three sport student-athelte and role model from Lak Havasu High School. While constantly pursuing victory with honor, he strives to be the best he can be. Academically, Salvador is in the top 20 of his class, has been named Senior of the Month, and been awarded the LumberJack Scholarship from NAU. Student Government (ASB), Educational Tour Group, and National Honor Society are a few of the clubs he has been involved with throughout his high school experience. While maintaining a job year-round, Salvador still found time to devote to athletics. Salvador has been honored as a 1st Team and 2nd Team All-Region athlete in multiple sports. With over 6 seasons of varsity experience, Salvador is a role model to upcoming athletes. He also delivers an impact to his community. Salvador has participated in Relay for Life, Day of Service, Street Clean Ups, been a volunteer coach, and help facilitate several blood drives. With a huge devotion to God and his family, Salvador tries to inspire and radiate his positive influence upon the world and leave his mark wherever he can, whenever he can. Salvador currently plans on attending Northern Arizona University, and pursuing a career in computer science and mathematics. When Cindy Riley, CAA, was inducted into Tucson (Arizona) Flowing Wells High School Sports Hall of Fame in September for her high school playing career, she was being honored in just one area of her athletic involvement in the state of Arizona. 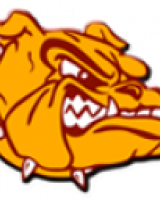 As the director of athletics at Tucson (Arizona) Desert Christian High School since 1986,Riley has devoted herself to the development of student-athletes and to state and national programs that help further high school interscholastic activities. 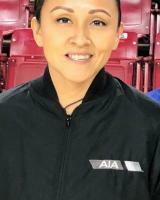 Within the Arizona Interscholastic Association (AIA), Riley has been the Ethics and Sportsmanship Committee chair since 2005 and in 2006-07 was the AIA 2A Conference president. Riley began her involvement with the Arizona Interscholastic Athletic Administrators Association (AIAAA) as its secretary from 1995 to 1998 and served as president of the AIAAA board from 1999 to 2001. 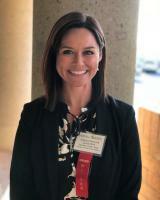 At the national level, Riley serves on the NIAAA Awards Committee and has attended the NIAAA Delegate Assembly as the Arizona representative seven times. 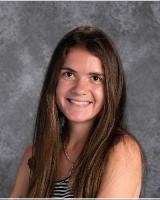 In addition to her numerous committee memberships and executive board positions, Riley has received several awards and honors in recognition of her contributions to high school activities. Her first acknowledgement came in 1987 when she was named Arizona Daily Star and Tucson Citizen Division I Softball Coach of the Year. In 1999, Riley was named 1A Conference Athletic Director of the Year, and the following year, she was honored as 2A South Athletic Director of the Year. In 2001, she earned an NIAAA State Award of Merit. Lee Patterson is the Sports Director and Play by Play voice at KATO 1230 in Safford Arizona. The 2017/2018 season marks his 18th year on the air covering Southeastern Arizona High Schools. 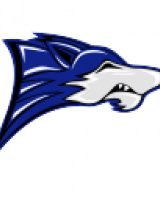 In his 18 seasons, Lee has called more than 200 football games and over 300 basketball games for Fort Thomas, Pima, Thatcher and Safford High Schools. Including 13 State Football Championship games and 22 State Basketball Championship Games. 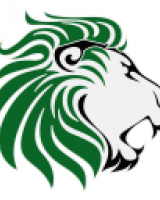 Lee is a proud graduate of Elfrida Valley Union High School where he was an All-Conference athlete in football and baseball; Lee continued his education at Eastern Arizona College in Thatcher before taking his current job at the radio station in February of 2000. 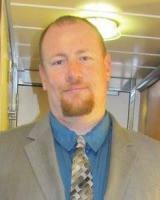 Lee currently resides in Safford with his wife of 13 years, Amanda. 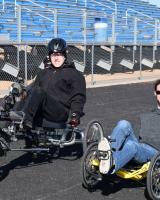 Coach Peacock has been working hard at Chandler High School to develop a strong Unified Sports program for 7 years. She understands greatly what it means to be a Unified Athlete and Partner and encourages all to participate and shows great care in her program. Being the Unified Sports Coach for Track, Cheer, and Basketball, she has provided so many opportunities for her athletes to be involved, receive recognition, and be successful both on and off the field. Her athletes consider her a leader, role model, and inspiration. She has done a fantastic job making the Unified program well known around her campus. All coaches across the CHS campus respect and look up to Coach Peacock for all that she has done for the program and her athletes. In addition to running the Unified Sports program, she also oversees the Best Buddies program on campus. The two often overlap, providing a tremendous amount of growth for all her students. She has always strived to provide opportunities for growth in her athletes socially, physically, and emotionally. She has definitely achieved, and continues to achieve, these goals. Her achievements have been noticed and well supported by CHS and the surrounding community which help continue building, growing, and maintaining the Unified Sports program on campus. Maria is an exceptional Unified Athlete. Nothing can stop her from achieving her goals. She is independent and a self-starter. For two years she has participated in Cheerleading, Dance, and Kickball. 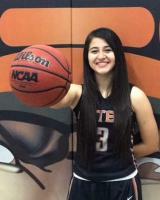 Maria loves being a Gila Ridge Hawk and constantly supports her school and teammates. She does not see herself, nor do her teammates see her, as one with disabilities. She is just as equal to them as they are to her. Maria has been a true inspiration to all of her peers. When she first stated cheering she set a new standard for Gila Ridge High School, she opened the eyes and hearts of all the students. Her involvement and encouragement has made many of her peers join track and become Unified Athletes themselves. There were more athletes with disabilities this past year than there have been in the past. Maria has the ability to walk herself to class every day, displaying the trustworthiness her peers and teachers have in her. She is constantly sitting with classmates, greeting friends, and giving high fives with a huge smile on her face as she walks down the halls. She has been a huge inspiration for her peers and is always helping them in the classroom. She cares greatly for all them and gives respect to others and they all give it right back. She is not only a great example for her peers with disabilities, but for the whole school. In just two years, Maria has received 4 purple ribbons in 4H showmanship where she participates in showing swine. Just this past year with Maria performing a lift, her cheer team won 1st in the state. Her continuous hard work and positive attitude make Maria an exceptional athlete and fantastic role model for all. David is the definition of what a leader and Unified Partner should be. He has only been involved with the program for 3 years but has made the biggest impact within his school and with his athletes. David participates in Bocce, Basketball, Badminton, and Track & Field. The first year he was a partner he was placed with a non-verbal student athlete, one nobody wanted to be partnered with. Although it was difficult at first, he found new ways to communicate with his athlete. When year two came around he chose him again and same with year three. They are now more than just Unified Partner and Athlete, they are true friends. David’s coach knew his capability of being a leader and great partner, in addition to his non-verbal athlete, he received a second athlete for his third year. David is looked up to by all of his teammates and he has impacted all of their lives greatly by giving them the best gift, friendship. He includes both his athletes in his everyday life, more than just when they are at practice. Not only has David become an exceptional leader for the Unified Sports program, he has impacted the program at Chino Valley by serving as the President of the Unified Club which he hosted their Miracle Minute fundraiser and R-Word campaign for the past 3 years. Just this past year the school of 750 students raised over $1000. David himself will have over 300 volunteer hours of service in their Unified program by the end of the year. David has also gone above and beyond his impact on CVHS. He participated in the Polar Plunge helping raise over $1200 for Special Olympics Arizona, he helped host a Youth Summit last fall for Northern Arizona schools interested in starting a Unified program, and he even was chosen to represent CVHS and SOAZ at the first Capitol Days where he spoke and shared his passion for the Unified movement in Arizona to our state legislators and governor. David even participated in the pilot year of Badminton in the U.S. this last fall helping Arizona take the lead in starting this new sport for Special Olympics.